It appears that neither Washington nor Tehran intends to make concessions with regards to the Iran nuclear deal. While the Trump administration signaled that the US may exit the nuclear accord by May 12, the Islamic Republic of Iran has shed light on its further steps if the agreement collapses. May 12, a deadline set by Donald Trump for the Iran nuclear deal, also known as the Joint Comprehensive Plan of Action (JCPOA), could potentially become a watershed in global politics, as Washington's exit from the accord may affect both American and European business interests and trigger a new conflict in the Middle East. 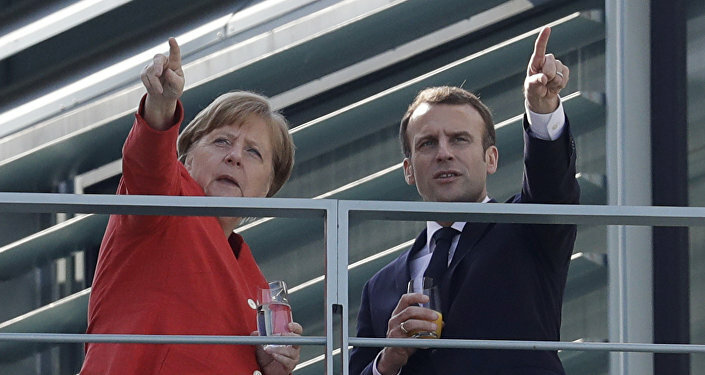 On April 27, German Chancellor Merkel embarked on an official visit to Washington which some observers see as the EU's last ditch effort to persuade the US president not to exit the nuclear accord after French President Macron failed the mission. — Andrea Mitchell (@mitchellreports) 26 апреля 2018 г. ​However, a Friday press conference demonstrated that neither Berlin nor Washington had budged. — Ben Kennedy (@BenKennedyTV) 27 апреля 2018 г. From the outset, President Trump cited four major "flaws" in the deal: First, international inspectors haven't got an opportunity to control all the facilities related to the Iran nuclear program, including military ones; second, there is no guarantee that Iran will never be able to create nuclear arms; third, the JCPOA accord will expire in 10-15 years; fourth, no restrictions have so far been imposed on the Iranian ballistic missile program. Additionally, Trump accused Tehran of harboring expansionist plans in the Middle East. 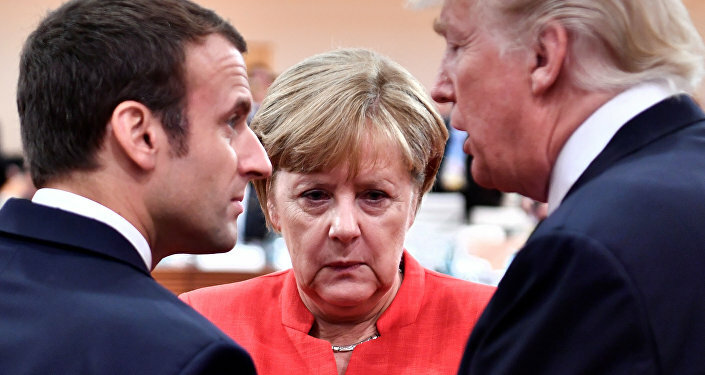 Then the US president announced that on May 12 he would withdraw from the JCPOA if France, Germany and the UK did not accept "significant changes" in the deal, prompting nothing short of a panic among his European allies. — Colin Kahl (@ColinKahl) 27 апреля 2018 г. Speaking to Sputnik, former French Ambassador to Iran Francois Nicoullaud underscored that following the lifting of anti-Iran sanctions, EU member states started investing in the country's market and buying its crude. The collapse of the deal and the looming threat of new anti-Iran restrictions, which will target not only Tehran but its business partners as well, threaten to nip the newly-signed projects in the bud. According to Bloomberg, there are at least three global major deals at stake: European multinational corporation Airbus Group SE has signed a $19 billion contract with Tehran envisaging the sale 100 jetliners to Iran; American company Boeing Co. inked a $3 billion and 16.6 billion deals with Iran's Aseman and the country's carrier Iran Air respectively; and France's Total SA has recently concluded a 20-year agreement worth $5 billion to develop the South Pars offshore gas field. Is the JCPOA 2.0 Possible? Although Federica Maria Mogherini, a high representative of the EU for foreign affairs and security policy, stated on April 16 that the bloc will implement the existing Iran nuclear deal, French President Macron proposed developing a new document covering the issues of the Iran ballistic missile program and Tehran's "expansion" in the Middle East, during his visit to Washington on April 23-25. There is plenty of room to fix, improve, strengthen the Iran deal. Talks are making progress. But May 12 is a completely arbitrary deadline for “fix or nix”. We would lose much, gain nothing, and miss the opportunity for a stronger deal if the US withdraws on that date. — Dan Shapiro (@DanielBShapiro) 28 апреля 2018 г. ​Commenting on Macron's offer, Moscow stated that it will maintain the JCPOA in its current form and sees no alternative to it so far. While Donald Trump's unpredictability leaves room for speculations about the future of the deal, Tehran has signaled that it won't accept any amendments to the JCPOA. Furthermore, the Iranian leadership hasn't ruled out abandoning the deal altogether, following in the US president's footsteps. In the course of negotiations in 2014-2015, the Iranians focused their attention on the unambiguous interpretation of the document's provisions. IRI negotiators were scrupulously monitoring the translation of the text into several languages, and repeatedly stated that the polysemy of words and expressions was impermissible. It took a lot of time for the parties involved to bring the content of the document to a common understanding. "Any change or amendment to the current deal will not be accepted by Iran… If Trump exits the deal, Iran will surely pull out of it… Iran will not accept a nuclear deal with no benefits for us," Ali Akbar Velayati, a senior advisor to Iran's Supreme Leader Ayatollah Ali Khamenei, said on April 26. On April 24, Iranian Foreign Minister Mohammad Javad Zarif stated that that Iran would be no longer bound by the JCPOA obligations if Trump rips the agreement up. Speaking to journalists on April 21, Zarif warned that in response to the US withdrawal Tehran could restart the production of enriched uranium — a key ingredient for a nuclear warhead. For his part, the head of the Atomic Energy Organization of Iran Ali Akbar Salehi noted that Iran could bring the enrichment to a 20-percent purity level within just four days at the Fordow plant, stressing that it is not a "political bluff." On the other hand, if Washington decides to abandon the nuclear deal with Iran the future of the talks with North Korean leader Kim Jong-un would be hanging in the balance, as the US image as a negotiator would be significantly undermined. The JCPOA collapse could potentially lead to new military and political crises in the Middle East. 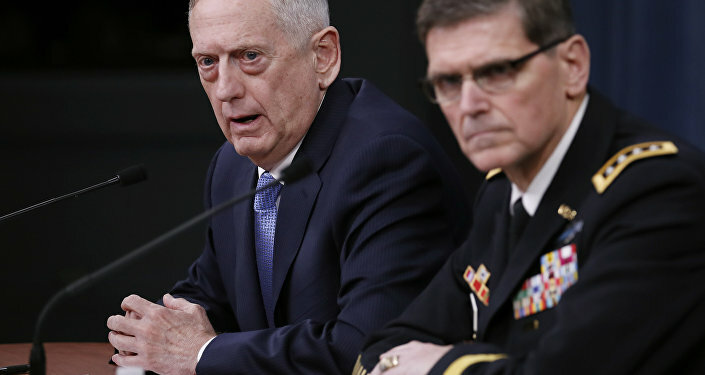 It is doubtful that Israel, Saudi Arabia, and their longstanding ally, the US, would sit idly by if the Islamic Republic of Iran (IRI) resumes its nuclear program at full capacity. Speaking to CBS in mid-March 2018, Saudi Crown Prince Mohammed bin Salman stated: "Saudi Arabia does not want to acquire any nuclear bomb, but without a doubt, if Iran developed a nuclear bomb, we will follow suit as soon as possible." Later, in his interview with The Wall Street Journal, the crown prince predicted a potential military confrontation with Iran in the next 10-15 years if the international community does not impose tougher sanctions on the IRI. The JCPOA agreement was reached in 2015 between Tehran, the permanent members of the United Nations Security Council (the United States, the United Kingdom, Russia, France, and China plus Germany) and the European Union. On October 18, 2015 the deal came into effect and participants began implementing the provisions of the agreement. Under the JCPOA, Iran was obligated to eliminate its stockpiles of medium-enriched uranium and reduce its stockpiles of low-enriched uranium by 98 percent. It was stipulated that the IRI will enrich uranium only to 3.67 percent for the next 15 years.